One Mission One Team. Can this be possible? If you have listened to the show you know we really seem far from one of anything. But perhaps we are closer or can get closer than we think possible. Join us with your EMS week plans and how you define this years slogan. This episode is sponsored by EMS Manager. Now is a great time to sign up for a free trial of this EMS employee management software. Click here to get started. Great help by John Broyles and Tena in the chat room as well. 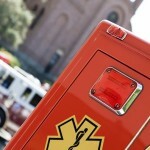 EMS Week started May 20th and goes until May 26th, 2012. This years theme is “More Than A Job, A Calling”. I think for many of us this is true and for many others it was true at one time but has evolved into just that “a job”. I hope you will share your story after listening to this episode on why you became an EMT or paramedic, how things have changed for you and what your agency is doing for EMS Week 2012. Take a look at the picture from the EMS Week Planning Guide to the left. What do you get out of that picture? Do you see a message being sent to us or the public via that photo? This week takes on a lighter note at Office Hours as Jim and Josh talk about EMS Week contests, giveaways, events and recognition of the EMS Everyday Hero. How did your agency is celebrate EMS Week? How did it recognize it’s members? Listen in to this episode for some EMS Feedback and how you can make EMS Week part of your whole year. H – History, Heroes and Headings. In this revamp of the “H” in the EMS A-Z Series, I put it into a Monday Minutes segment and talk about heroes and the direction EMS is headed. Take a listen and share your thoughts below.